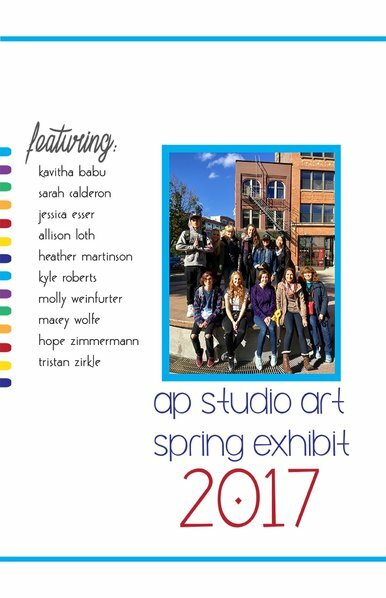 The second semester AP Studio Art Exhibit opens on May 19th. The exhibit features work by students to develop the concentration section of their portfolio. A concentration is 12 works of art focused on one specific idea or theme. Students worked to develop and elaborate on their chosen concept throughout the late winter into early spring. This exhibit is a fantastic summary of their outstanding achievements. Pewaukee Area Arts Council's Showcase of Art Exhibit at the Waukesha Public Library in the month of April featured many PHS art students. Congratulations to: Megan Wilborn, Megan Wroblewski, Austyn Brock, Elizabeth Laning, Miriam John, Kailey Sherman, Sydney Reehm, Becca Chadwick, Samantha Wollenzien, Emily Becker, Sam Rhymer, Macey Wolfe, Sarah Calderon, Jordan Zimmer, Hope Zimmermann, Kavitha Babu, Allison Loth, Jessica Esser, Sophia Buss and Katie Kiser for exhibit their work. March is designated as Youth Art Month nationally. 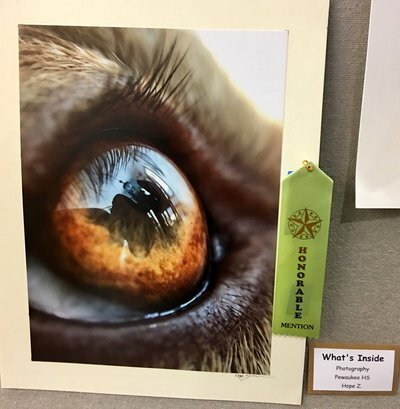 Pewaukee School district celebrated this with a district-wide gallery night walk through all the district schools. Over 300 families participated and viewed student art work at the 4 district schools. Here are a few images from the great art evening. Ten Visual Art Students recently had their art selected for the Wisconsin Art Education Association (WAEA) Youth Art Month (YAM) Regional Exhibit. The works were exhibited at Sharon Lynne Wilson Center for the Arts from February 17 - 25, 2017 with a public Closing Reception and awards ceremony on February 25th. During the reception 6 students art works were chosen to go on and represent Pewaukee High School at the State Youth Art Month Celebration Exhibit in March at the Capitol Building in Madison. In addition to the State representatives being chosen the reception featured an awards ceremony. 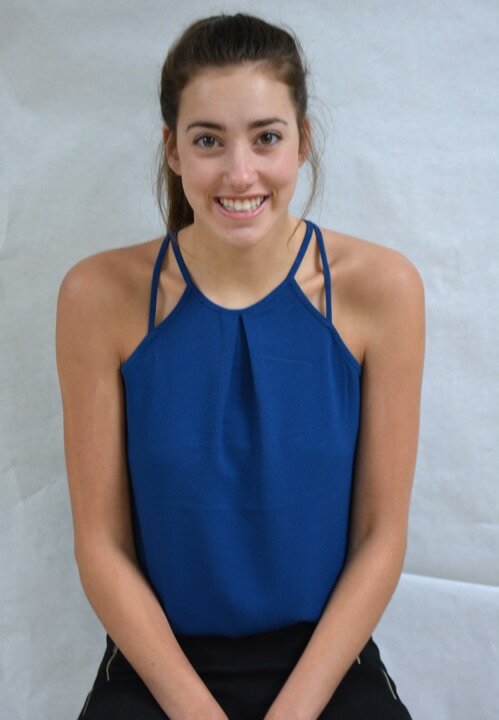 Senior, Hope Zimmermann received the Vincent Van Gogh award for her multi-media Landscape art piece featuring a fiber arts technique called needle felting. The following students had their work selected to go onto Madison for the State YAM exhibit: Allison Loth, Hope Zimmermann, Macey Wolfe, Lauren Wroblewski, Taryn Bradley and Paige Kettner. Congratulations to our talented art students. Mr. Lamp teaches Introduction to Art, Sculpture 1 & 2, Drawing 1, Art History, AP Art History, Introduction to Digital Media in room 115. 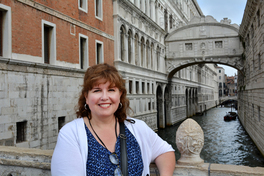 Mrs. Bjork is the department head and teaches AP Studio Art, Painting 1, Digital Photography 1 & 2, Drawing2/Painting2, Animation and Experimental Video, Graphic Design, and Introduction to Digital Media. Congratulations to Hope Zimmermann, the 2017 recipient of the Gene Frett Visual Art Scholarship. 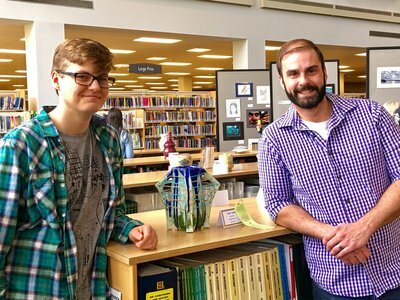 The scholarship is a one-time award of $1500.00 awarded to a student who is planning to major in an art related field in college. 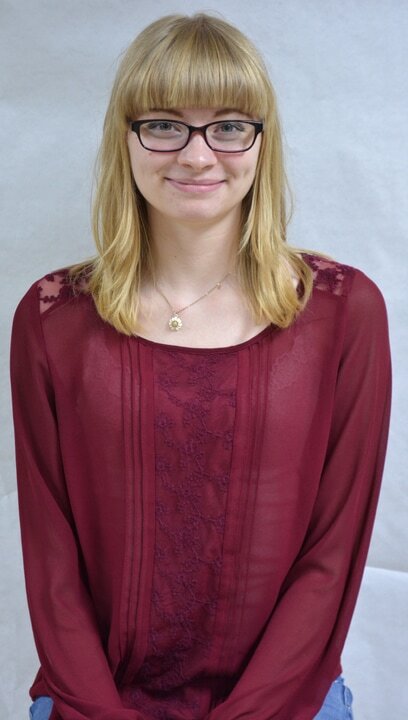 Congratulations to Allison Loth who was chosen as the Visual Art Department Student of the Year for her outstanding artwork and service to the department. 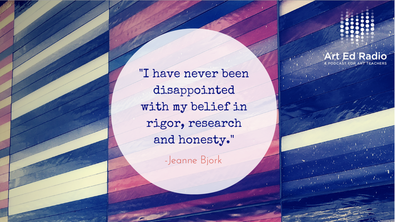 Mrs. Bjork was recently invited to host the national #K12ArtChallenge for the month of May. The Challenge is designed to give art educator the opportunity to make art on a daily basis in response to daily prompts. 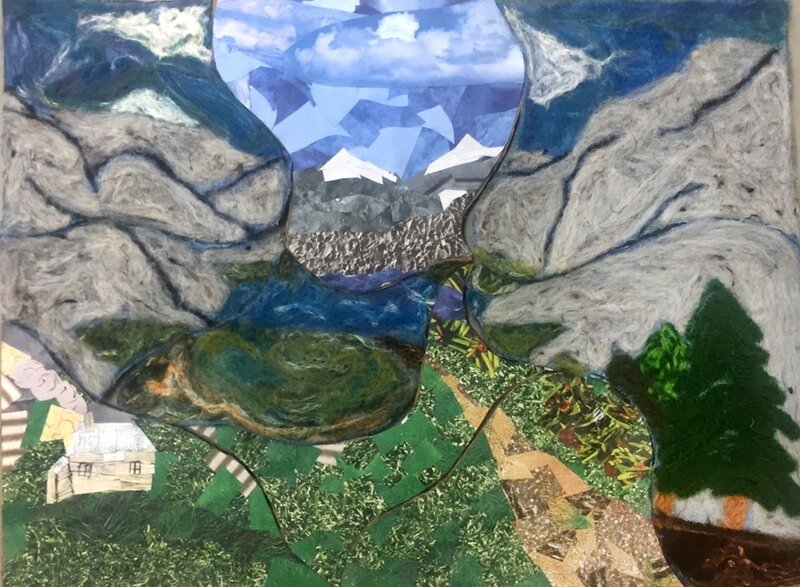 Teachers then share their work via social media using the #k12artchallenge and #k12artchat. 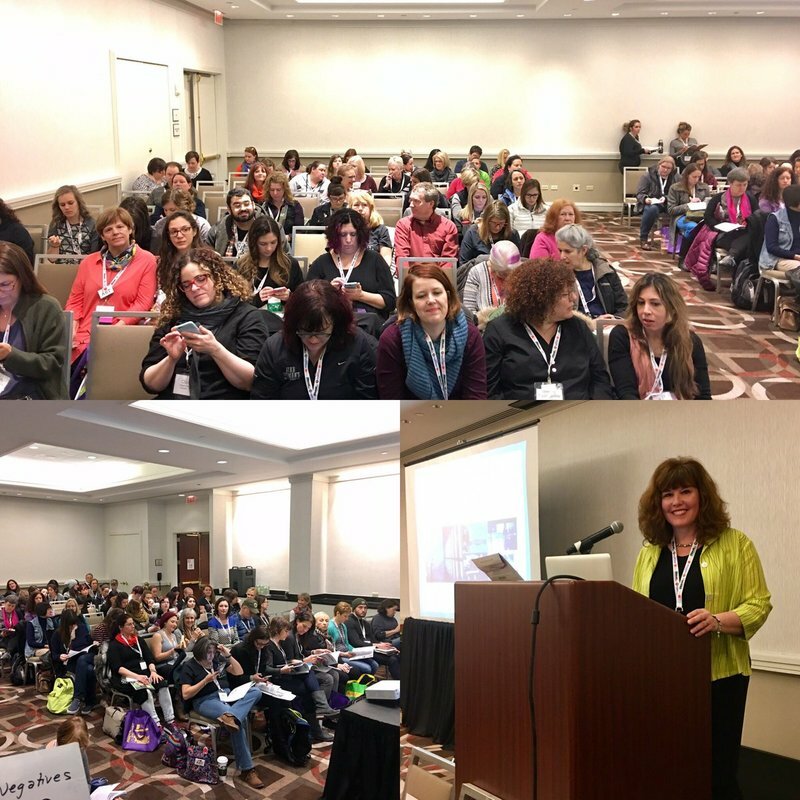 This great, supportive community of artist-educators from around the world allows teachers to keep their hand in the art making part of their work. There are weekly blog posts related to the Meet the Master May challenge. Visit the blog for more. Mrs. Bjork received a $100.00 mini-grant from the Wisconsin Art Education Association and the Heart of Canal Potawatomi Grants program. Jeanne and several other WAEA members received the grant for their volunteer work with the WAEA Board. The grant has been used to further the development of the visual arts printmaking program. Four years of hard work in high school art has begun to pay off for several AP Studio Art students as college scholarship offers and acceptance letters have been sent. We are so proud of the wonderful work of our students. Many will have some difficult decisions to make in the coming months about their future studies. Congratulations to the following for their college acceptance into arts-related programs and their scholarship offers. UW-Milwaukee accepted into the PECK School of the Arts competively chosen through Art and Design Incoming Portfolio. Offered $1000 scholarship for first year, merit based award. Accepted to Rocky Mountain College of Art and Design (RMCAD). MIAD has offered 2 scholarships based on merit including $14,000 over 10 semesters and $2500 for portfolio work, merit based award. RMCAD has offered a National Portfolio Day Scholarship that includes 20% off tuition for 10 semesters, merit based award. Accepted to University of Wisconsin-Milwaukee Architecture Program, Honors program. Accepted to University of Minnesota-Twin Cities Design Program, Honors program. CONGRATULATIONS to our Art Students!!! Recently the Visual Art Department presented their Italy trip to the PSD School Board. The presentation featured Mr. Lamp, Mrs. Bjork, ACMS teacher Candace Greupnink and students Jenna Anderson, Ashley Hohnstein, Emma Steiler and Macey Wolfe discussing the summer of 2016 trip. Students and teachers discussed the value of traveling abroad including the impact it had on learning about art and art history, the rich connections students made and much more. 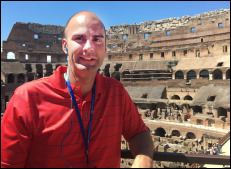 The School Board then heard the rationale for the PHS Visual Art planning the 2018 Italy trip. They unanimously approved this plan. Please watch for future details about this incredible opportunity for students. 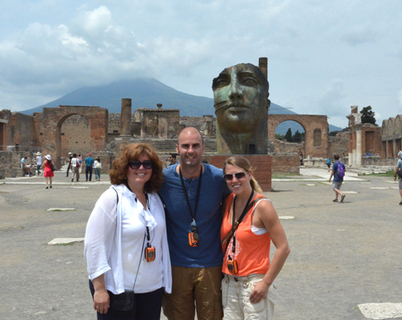 Currently the travel abroad opportunity is open to AP Studio, AP Art History and Art History students first. We will consider opening up to additional students if we have space. The informational Meeting was held March 22, 2017. If you would like to learn more about the Travel Abroad opportunity and you missed the meeting please contact Mr. Lamp. 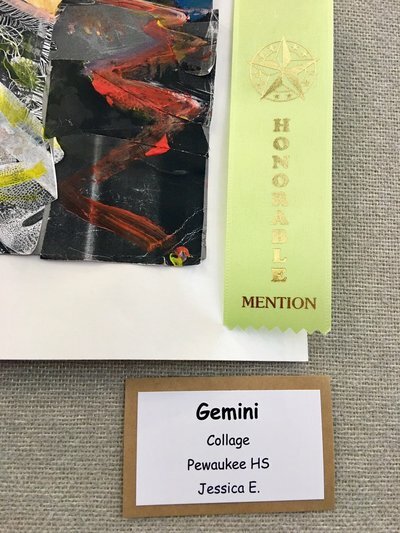 Pewaukee High School Visual Art Department was recently notified that five students won six Honorable Mention awards at the State Scholastic Art Competition. 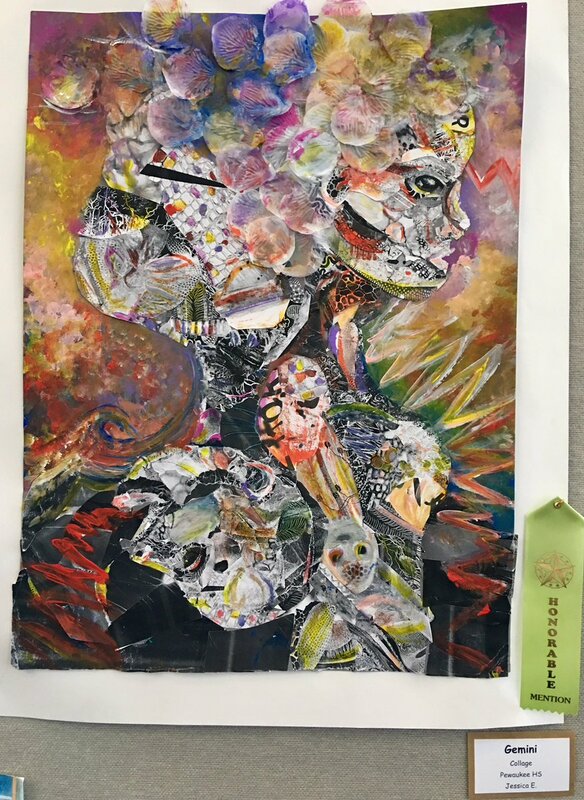 Scholastic is a highly competitive State Exhibit that awards students for their exemplary efforts in Visual Art. There are 3 levels of awards in Scholastic: Gold Key is the top award and has works being considered for National recognition, Silver Key is the next award with works being awarded at the State Level and Honorable Mention is the third State Level award. Gold and Silver Key works are exhibited at the Milwaukee Art Museum Scholastic exhibit in February-March. There is a public reception and awards ceremony on Saturday, February 11, which honors all recipients including Honorable Mention. Students get to walk across stage and have their name and award announced in the Calatrava Atrium space at the Milwaukee Art Museum. 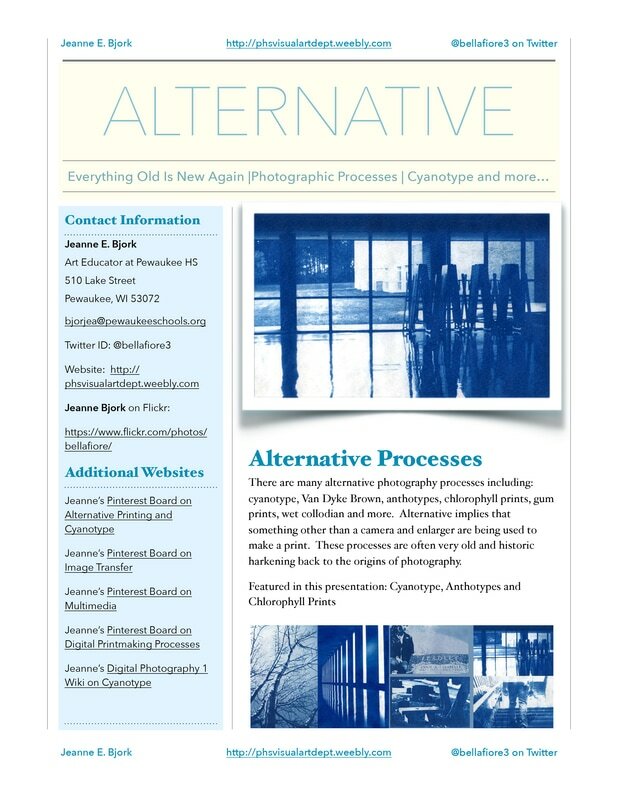 PHS Visual Art program was recently featured in the December issue of School Arts magazine, a national publication for art educators. 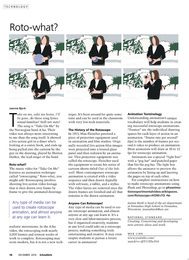 The article featured details on the Rotoscope process used by Mrs. Bjork's animation students in the Animation and Experimental Video classes at PHS in the mac lab. To view the article click here and go to page 14.